The idea for Ferienparadiese.com was born and developed on some basic thoughts. We want you to experience a unique holiday in our wonderful land. Therefore we have decided to choose and explain to you, clearly and precisely, the best and most beautiful holiday resorts and hotels of South Tyrol. We want to show you just few but special hotels to facilitate your holiday plans. The hotels shown on this site are all family conducted and ensure a personal service to the guests as well as getting in touch with the authentic South Tyrolean hospitality. Quality is very important for us, therefore we have decided to choose just 4 stars hotels each with its special merits. 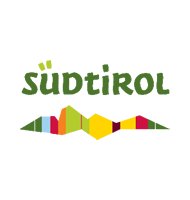 Your holidays in South Tyrol for a perfect and peaceful time!